Dominik F. Dominkovic will defend his PhD thesis on the topic Modelling Energy Supply of Future Smart Cities. The PhD thesis has been carried under CITIES Work Package 2 on Energy Supply, Transmission, Storage and Conversion. 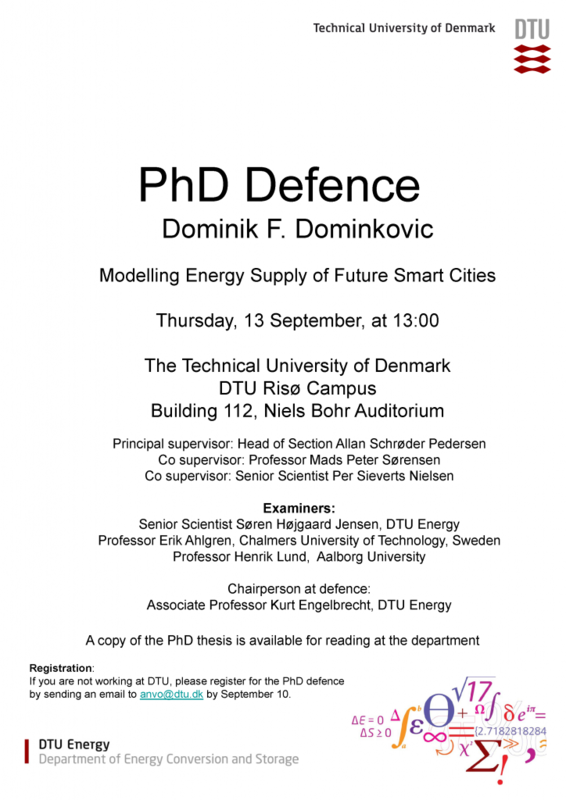 The defense will take place on 13th September, 13.00, at DTU’s Risø Campus, Building 112, Niels Bohr Auditorium. Please see the announcement below for further information regarding registration for participation. Click here for a summary of the PhD thesis.